This sales onboarding process ramps new hires in 1 month. This sales onboarding process ramps new hires in 1 month. This sales onboarding process ramps new hires in 1 month. 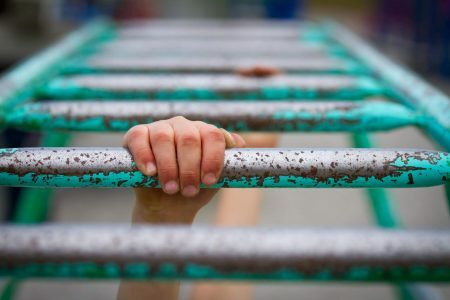 True story – your sales onboarding process is one of the most powerful revenue-generating tools you have in your arsenal when you are scaling your team. That’s because the better you onboard your new sales hires, the faster they will ramp… and just 2 months can make a massive difference in your ARR. That’s an $80k+ difference from a 2-month change in ramp speed… imagine this over 10 reps! Now imagine what happened to the numbers of Jon Repka, the Director of Growth for Paro.io, when he and his team worked together refined their onboarding process and cut their ramp time down from 9 months to just 1. Yeah, that’s MAJOR moolah. It’s no wonder that Paro has seen 25x growth in the last 2 years! We’ve had the pleasure of helping Jon build out his sales team and were so blown away by their process that I asked if I could share it with you all. Here is the exact sales onboarding process Paro uses along with key things to consider if/when you apply it to yours. 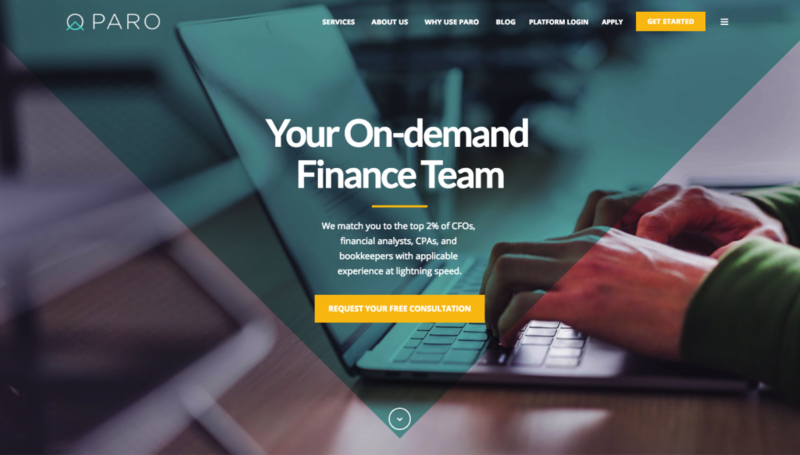 For those of you who aren’t familiar with Paro, they’ve created an amazing platform that connects scaling companies with freelance finance teams that can help them grow. Jon has been leading their growth efforts over the last 2 years and he’s done some incredible things there. The better you take this to heart and work to apply it, the quicker your new hires will be able to reach quota and help you grow. It’s that simple! Jon does this exceptionally well – and he’s learned how to do that better by asking new hires directly for feedback over time and empowering more senior team members to work together to create the process they would have wanted to see during their onboarding, creating a strong sales culture of collaboration and idea-sharing. A sophisticated series of training modules on the company, sales process, etc. over the first 2 weeks that gets better with every hire. His ability to turn on the ‘firehose’ of inbound leads which results in a lot of early at-bats for new reps.
An altruistic sales team culture that promotes extensive peer-to-peer coaching, support, and help (this is driven by leadership). Larger average deal sizes that help reps exceed their targets with fewer sales. “Best-in-breed” technology tools like email automation, Salesforce, etc. You may not have all of these things at your disposal. That’s ok! Use this as a framework to build off of and talk to your reps to fill in the blanks. Or, start to build them now! Here’s how/when Jon applies all these things. Just because the offer is accepted doesn’t mean you’re home free. I’ve seen a lot of companies lose a candidate to a better offer or a sudden change of heart by doing too little to engage them at this stage. I can’t stress enough how important this part is– we almost always have to do some “closing” here at ATP to keep candidates warm on behalf of our clients once the offer is accepted! With Jon, however, we didn’t have to do much. He does an incredible job of keeping his candidates engaged at this stage by sending them helpful and exciting content beforehand. In essence, you just want to give them enough information to get/keep them fired up about the new opportunity and come in with a solid baseline foundation. They’re trying to wrap up things with their old job after all! 10 days before start – High-level background on the company, mission, and product/service. 4-5 days before start – Detailed onboarding materials, including their sales playbook. Anytime before start – Half day in the office shadowing and observing. That’s it! It’s actually quite simple, but it does a lot to get his new team members on the right footing before their first day. This also helps accelerate the training Jon does in the first 2 weeks since they’re well informed on Day 1 (more on this in a second). The keys here are to provide high-quality and relevant materials that truly help your new sales team members get excited and prepared before they start (again, ask them what would work best). Just make sure not to overwhelm them with too much! Day 1 is “kickoff” and all about setting the tone. Think of this as a welcome celebration… you want to keep things light and positive. There is plenty of time in the next few weeks to get into the deep end and you don’t want to overwhelm them on day one! Tech setup. Getting them access to all the tools and technologies they need to be successful so they can dig in right away in the coming days. Team meet and greet. Culture is a big part of Paro’s sales success and Jon immediately pulls new hires in to spend significant time with the team on the first day. Training module #1. This focuses on Paro’s origin story and runs through their sales process and lead generation channels/tactics. Accomplishing these tasks on the first day sets his new reps up well for the coming weeks but keeps everything at a pace that’s manageable. I recommend requesting all of the physical equipment (desk, computers, etc.) ahead of time so that it’s all ready when they get there. This speeds things up greatly for everyone! 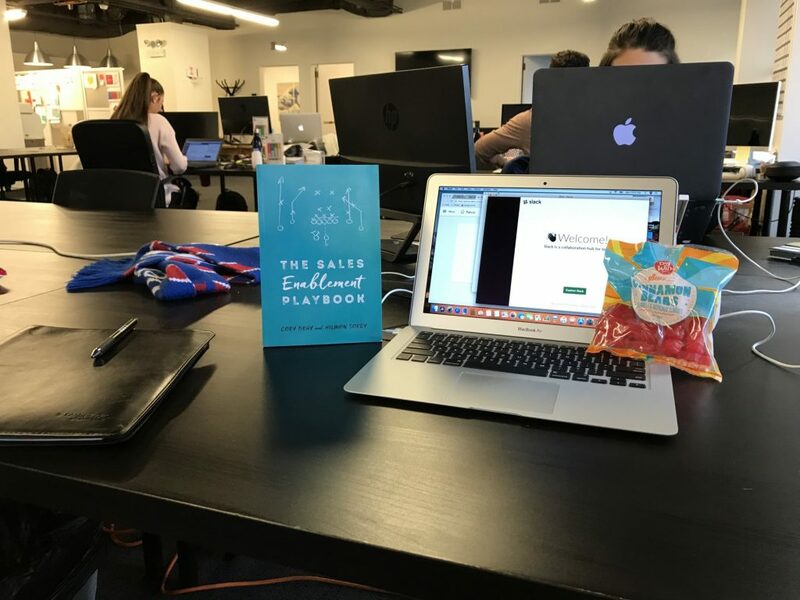 We send every candidate we place a supply of their favorite candy, some ATP swag (not pictured), and a copy of Cory Bray’s The Sales Enablement Playbook. Get their first week scheduled and the agenda on their desk when they arrive. Set them up to have lunch with a different person on the team/across the organization as well! Plan an end-of-week happy hour or outing with the entire team to further the bonding process to help them assimilate. 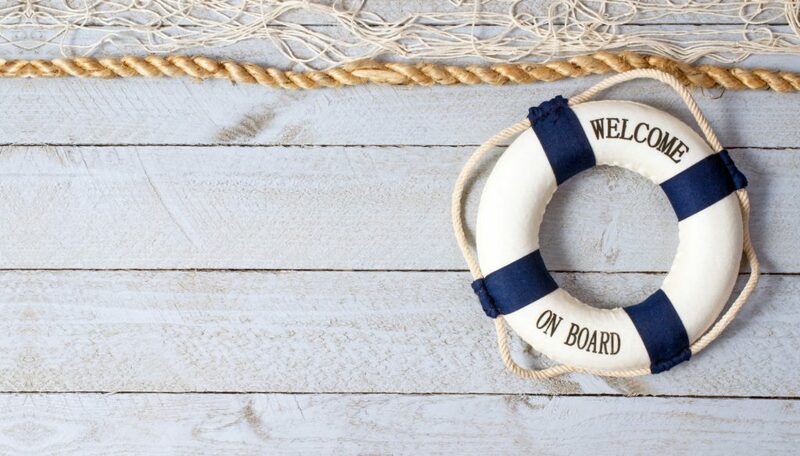 Send them a message the night before letting them know how excited you are to have them on board. We do this with all of the candidates that we place (see the image below). Again – keep the energy positive and don’t overwhelm! This is where things start to heat up and where it’s ok to start digging into the tactical stuff. Here Jon introduces the more meaty training modules that he has developed to train up his new hires. These modules typically take about 2 hours each day. The rest of their time is spent shadowing reps in the field and seeing how they’re being applied. Since Jon’s new hires arrive on their first day with a great list of questions and a solid idea of Paro’s business model, this accelerates their training. That’s an important thing to remember as you build out the resources you need for the earlier stages of the onboarding process. By this point, new team members are trained up on everything they need to know to be dangerous… it’s just a matter of putting that learning into practice. FYI, these aren’t big important leads… he just wants them to get some experience in front of a few low-risk customers for practice. Think high-volume, low-impact. In essence, he gives them a playbook as a guide and lets them find ways to make it their own… including ways to make it better! Interestingly enough, Jon doesn’t really have a structured coaching plan. He prefers a more “ad-hoc” approach to coaching because it helps him to address each rep’s strengths and weaknesses individually and as efficiently as possible. So other than on the fly training, call shadowing, and bi-monthly 1-on-1’s to answer questions, there’s not much else he does. No matter what you’re doing today, this should be fairly easy to implement, even if you don’t have as robust of an inbound process yet. Find ways to get your new hires as much practice on smaller deals as you can and sit in on the calls. Help your them analyze what worked and what could be improved! The results after 1 month? As someone who has been a salesperson all her life, this is incredible for so many reasons. First and foremost, when I know you’re investing in me, I’m going to work harder and you’re going to get a better return. This makes everyone happy and productive! 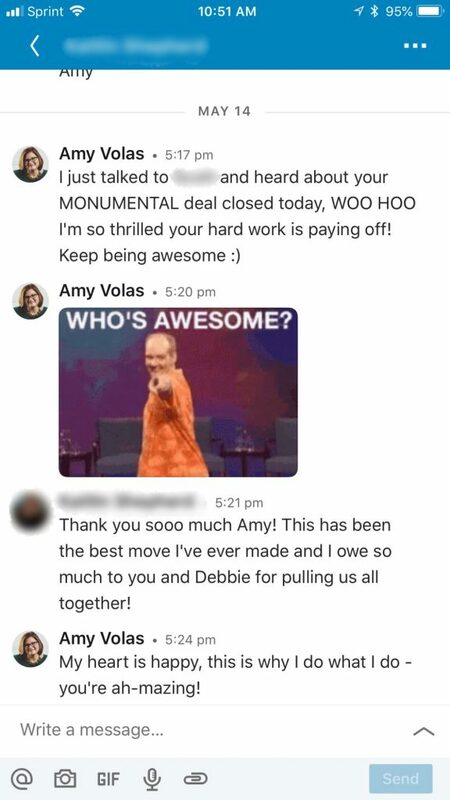 What a candidate we placed said about her new opportunity because of early success she saw during onboarding. Jon also noticed that this helps accelerate reps to a level where they’re ready to take on a leadership position in an expedited timeline. More on that next. The beauty of this onboarding process is that it puts his salespeople in a position to move into a leadership position on an expedited timeline. And in fact, that’s Jon’s goal for the rest of the year after month 1. Repetition is the key to building good habits. So Jon focuses on many of the same things from the previous two weeks in order to help his new hires hone their craft during this period. His goal is to help them exceed their goals by as much as possible through any opportunity they can find, regardless of the vertical. This includes their organic pipeline as well (family, friends, contacts, etc.). For the rest of the year, Jon’s goal is to help his new hires move from a generalist to specialist and from specialist to a leader within that specialty. This starts by taking on industry vertical leadership responsibilities where they’re responsible for the revenue production in a given space. By the end of the year, they then take on an industry vertical Manager role with a formal direct report to help them scale. This approach keeps Jon’s team growing and gives them an incentive to work towards. And it’s a really important point to take to heart because the best salespeople crave growth above all else! Take it from me… if they don’t get it, they will look elsewhere for it at the end of the year. I get a lot of people coming to me looking for new opportunities in Q1 for this reason! No matter how you incentivize, make sure it’s consistent with the things that your salespeople want. Ask them and find ways to set them up for it! This is by no means the only way to onboard new sales hires. But it is one of the absolute best processes I’ve seen anywhere. It also takes a substantial amount of work… but the results speak for themselves. Just think, what could you do with an additional 8 months of smashed goals from all of your reps? 4 proven strategies for retaining your best sales employees.